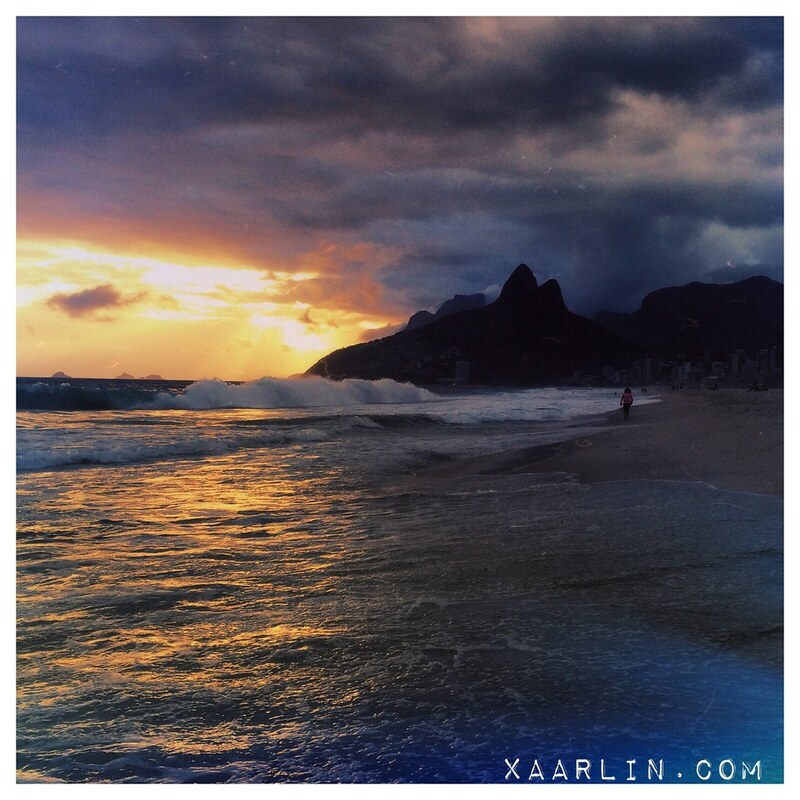 Xaarlin: Rio: day 2, I freaking love this place! 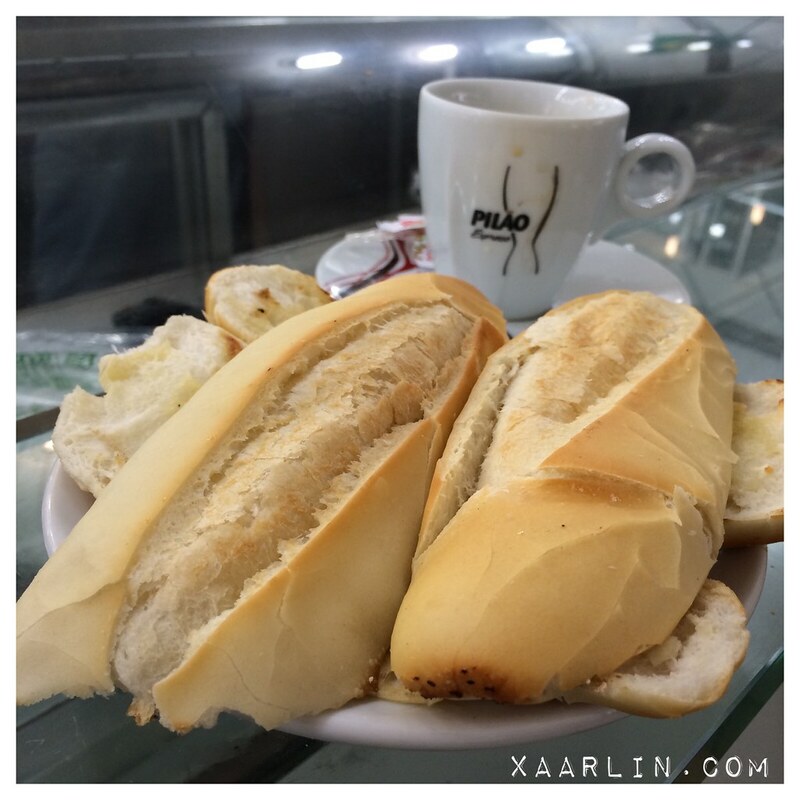 So after an extremely long day of travel which brought us to Rio, we woke up and had a traditional Brasilian breakfast- fresh juice, coffee, and pao na chapa. (buttered, grilled french bread.) 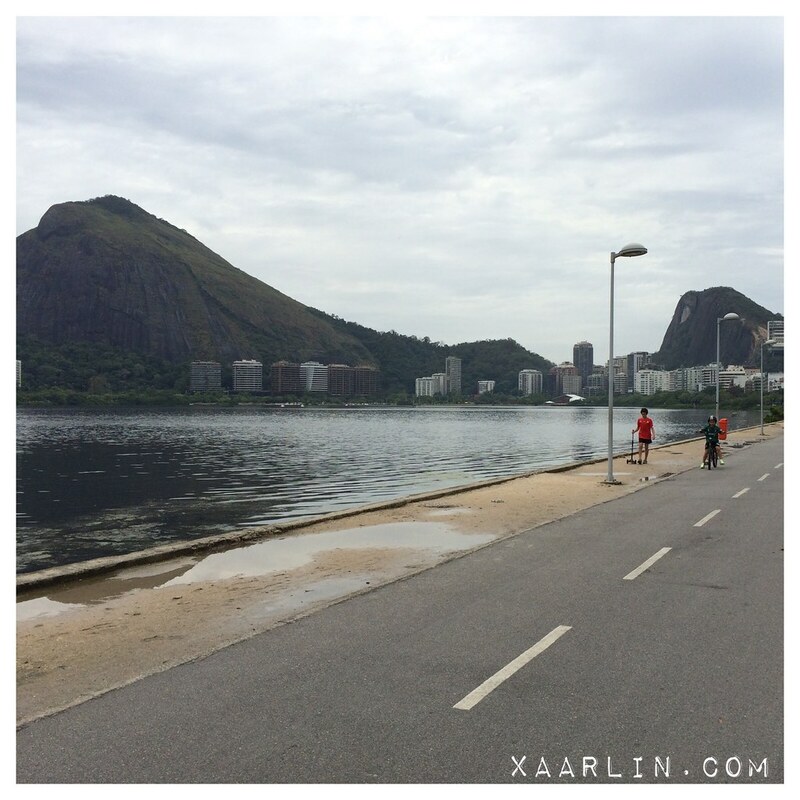 Since the weather was rainy, we decided to go for a walk around Lagoa (lagoon) Rodrigo de Freitas. Our Air BnB was pretty much between the Lagoon and the beach- a short 3 bock walk to either. Post breakfast we walked to the Lagoon. 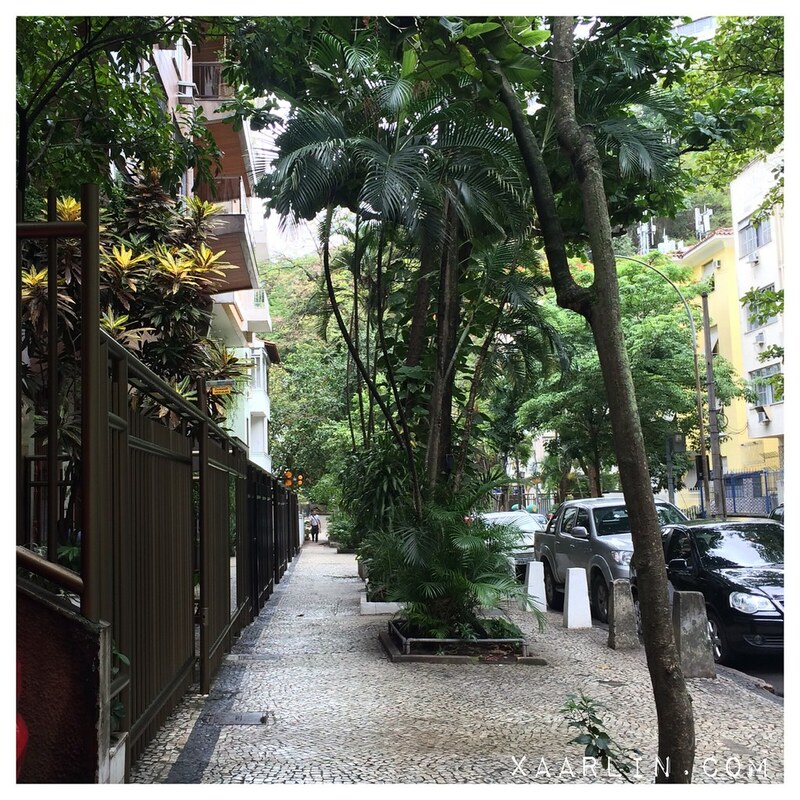 I Love this neighborhood in Ipanema! 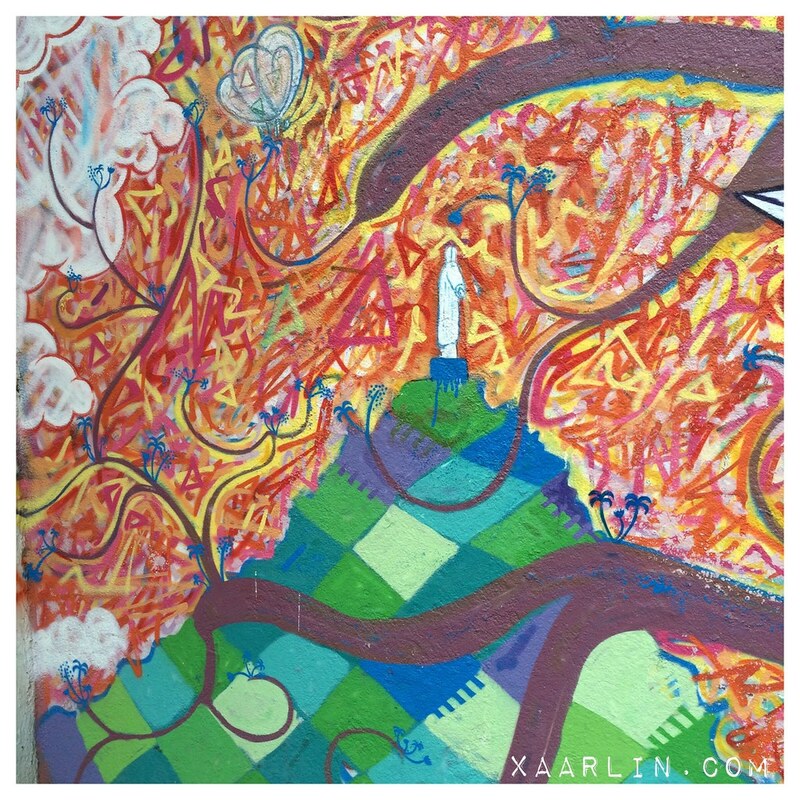 On our short walk we passed some spectacular graffiti- one depicting the Christ the Redeemer Statue. Little did we know that the lagoon had amazing views of the Christ. We got to the Lagoon and I was amazed at the beauty of the location. 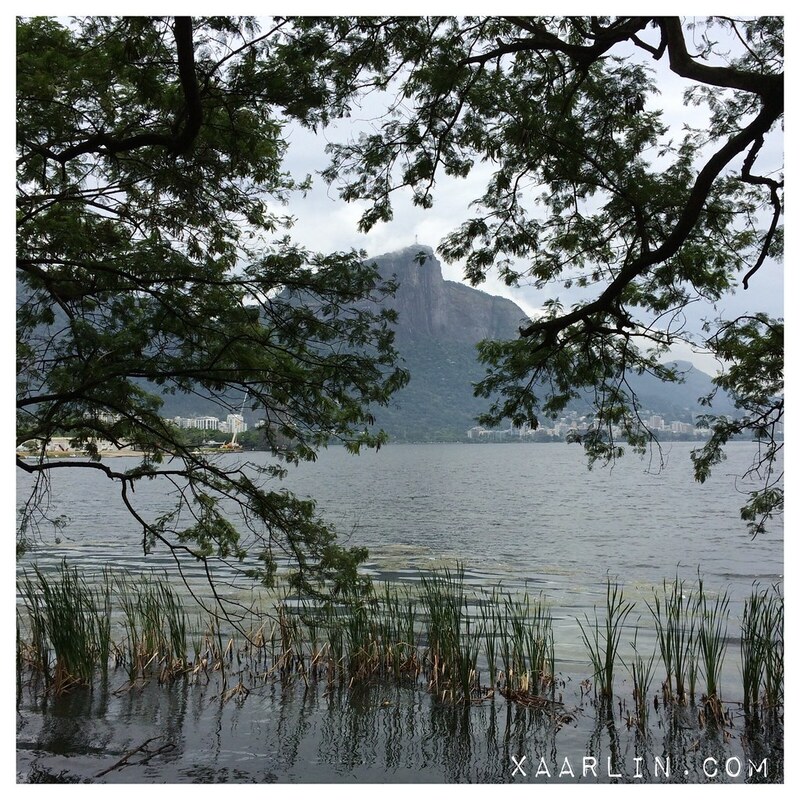 The Christ Statue was on top of the mountain, the lagoon was so calm and reflecting the scenery behind it, I was speechless. Ever since I was little, I wanted to visit Rio. 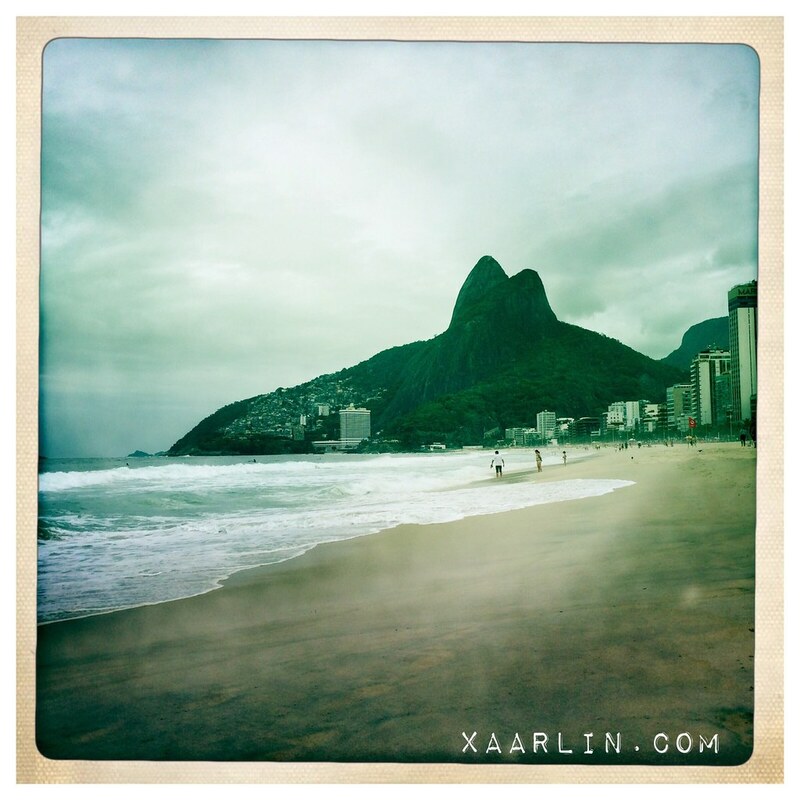 My daad visited Rio 30 years ago and even though he almost got robbed, I was in love with the place and had to visit. 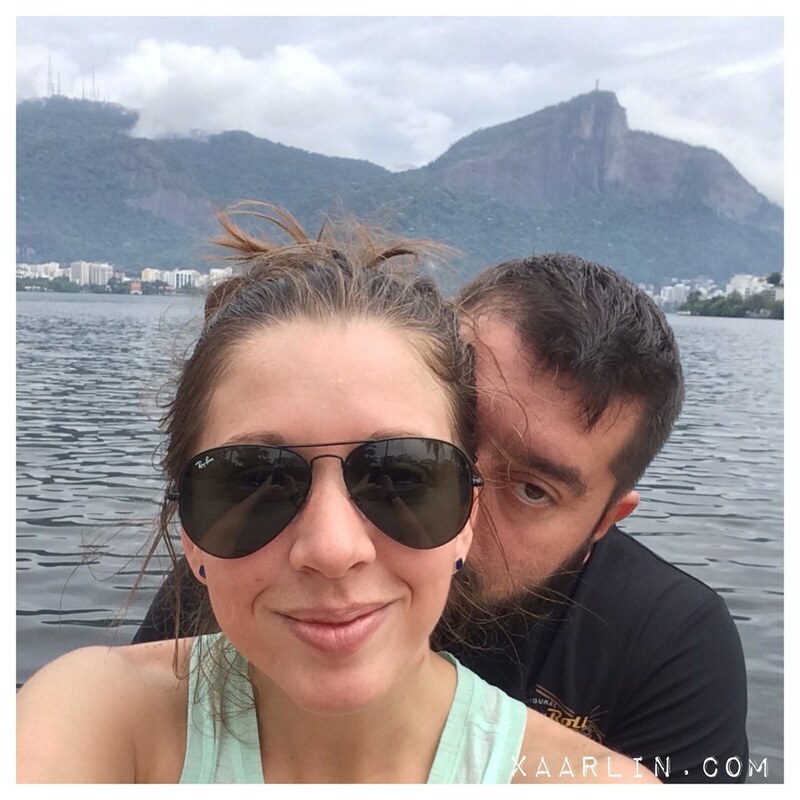 I'm naturally a sucker for mountains and water, but to add SugarLoaf (Pao de Acucar) and the Christ statue, I was so stoked to visit Rio. 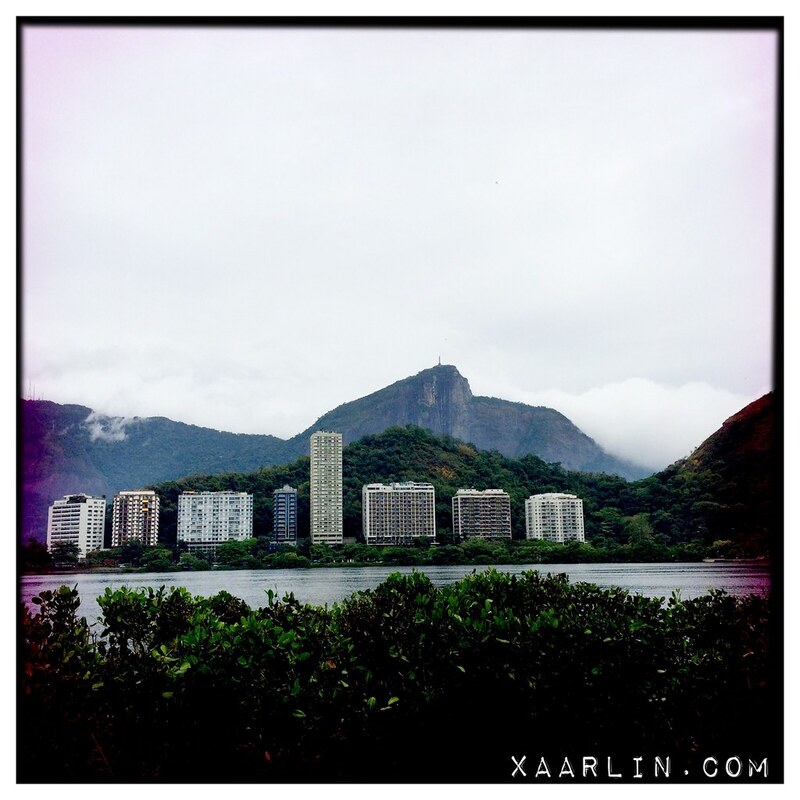 To be in Rio, and actually see these iconic landmarks was overwhelming in the best possible way. During our walk around the lagoon, I could barely take my eyes off of the Christ. The Lagoon has a paved 6500m path around it. On the day we went it was overcast and looking like imminent rain- as a result there weren't many folks out there running, walking or cycling. We had a good time walking a portion of the trail and taking photos. It was just beautiful. 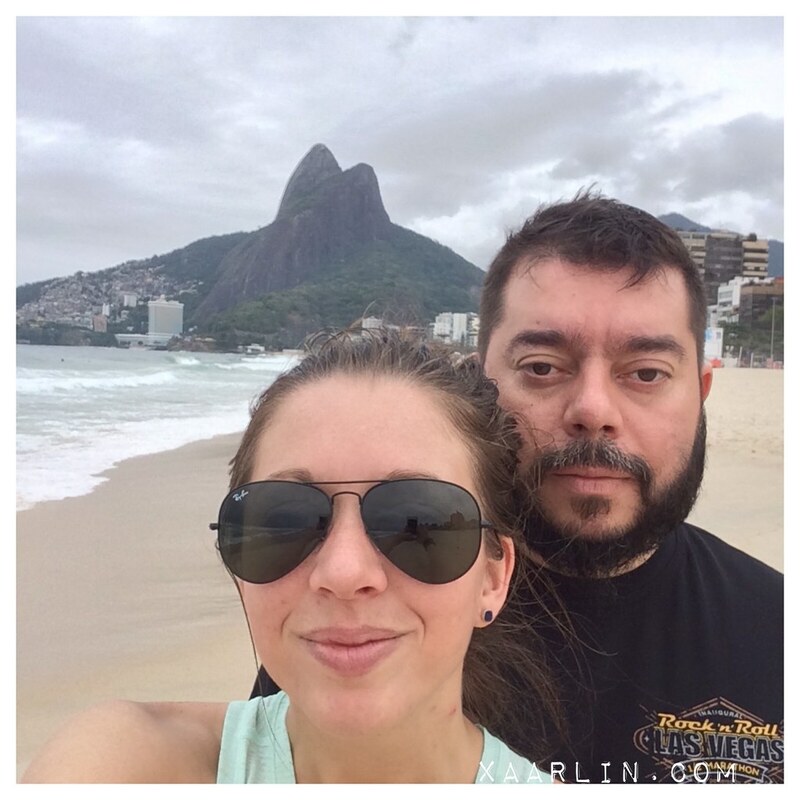 After the lagoon, we walked over to Ipanema beach. 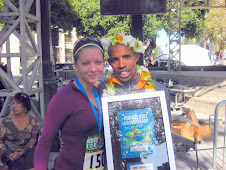 Again, I was just overcome with emotions of I"M REALLY FREAKING HERE. 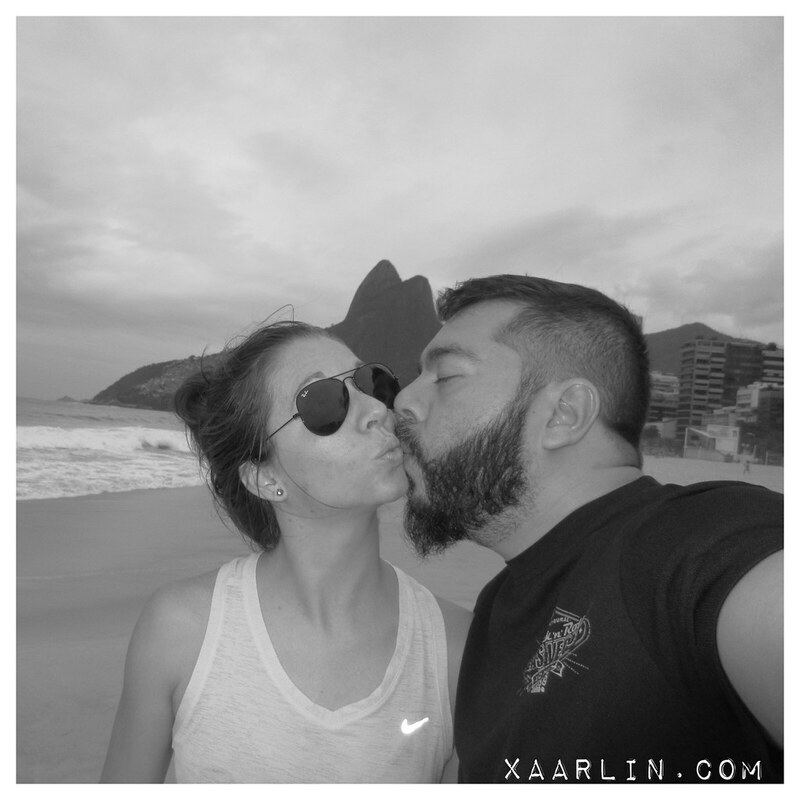 To see the places i've only seen in photos and to be there with my husband was amazing. One of the things I was looking forward to was going stand up paddle boarding. 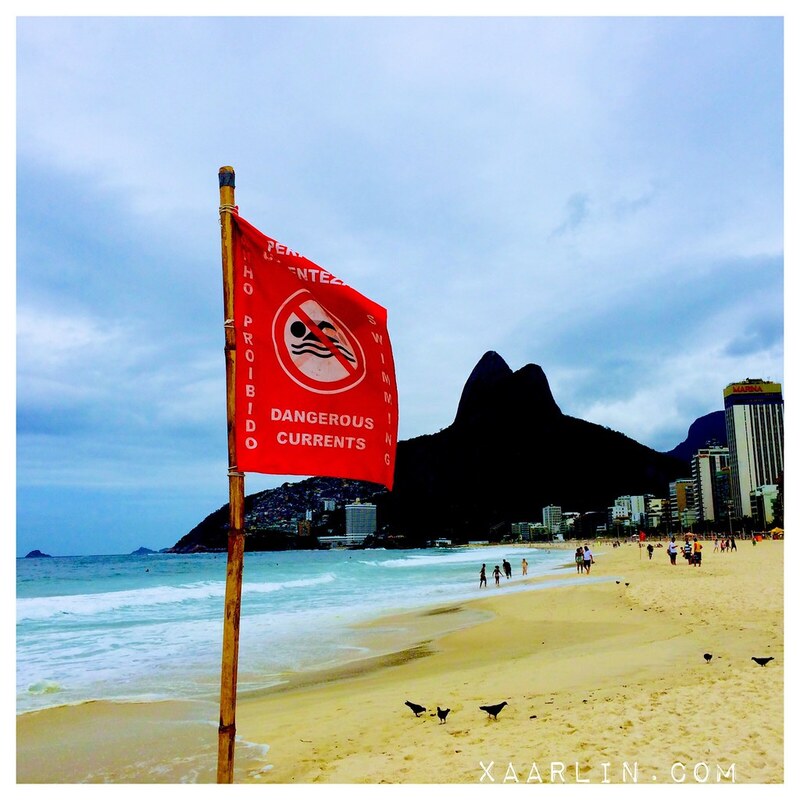 I had found several places to rent boards from, and was so excited to cruise Ipanema beach and get a different perspective. Unfortunately on Saturday the weather was too poor for SUP. The waves were insanely large so we just walked the beach. 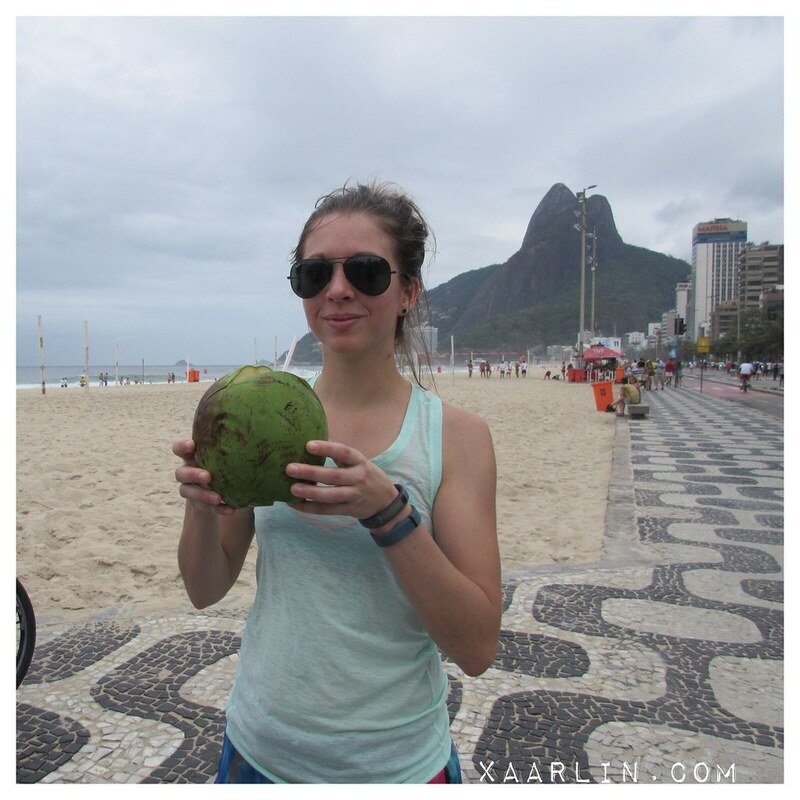 After walking the lagoon, and walking on the beach we were thirsty so we got fresh coconut water. 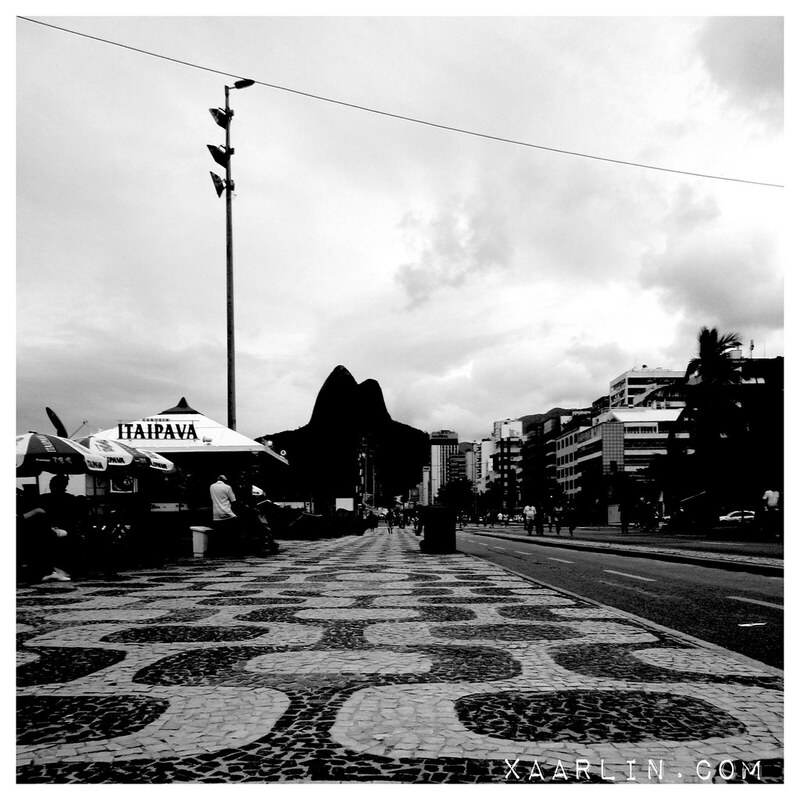 I loved the sidewalk design of Ipanema- the black and white tiles.This is from when Brasil was a Portuguese colony. There are different patterns for Copacabana, and other neighborhoods. These sidewalk patters can also be found in Portugal and Macau (former Portuguese colony). This design must have taken a lot of work since each tile must be hand placed. For dinner we met our friends and went to Bar Astor. 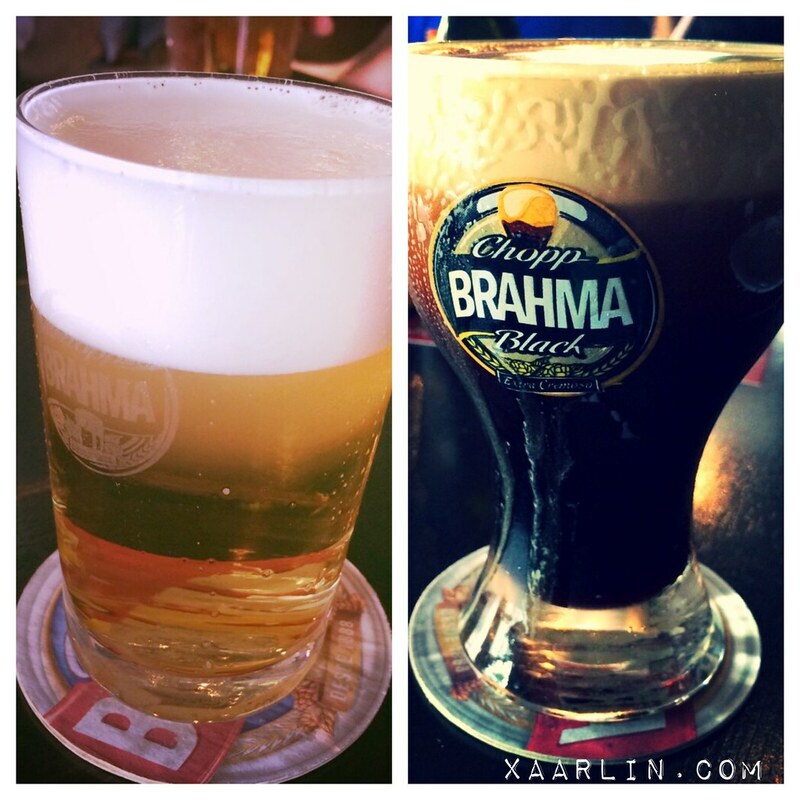 We enjoyed the cold Chopp- both light and dark and icy cold. 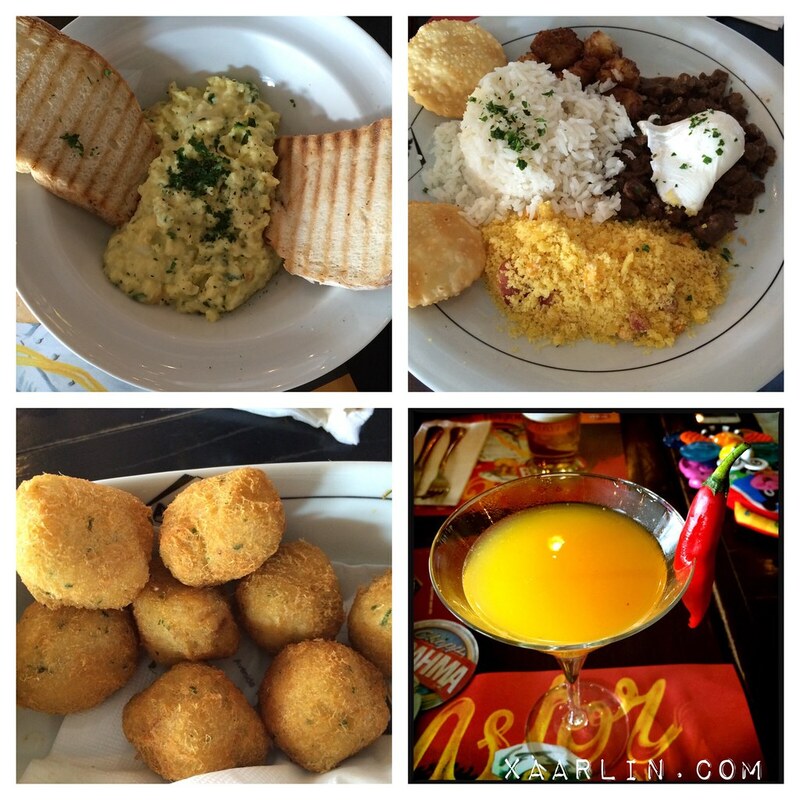 We split scrambled eggs with cheese (delicious), Picadinho (steak, rice, farofa, pastel, with an egg) bolinhos de bacalhau, and I had a spicy passion fruit martini. We randomly met our friend's parents who happened to be dining there and in the area. 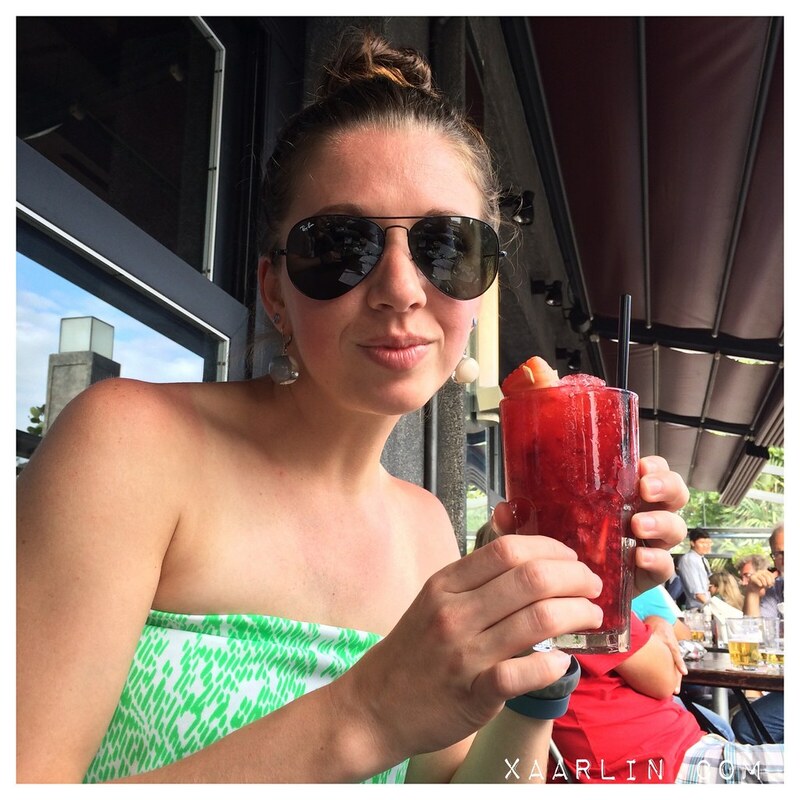 We moved out side and I had a delicious caipirinha with red fruits. 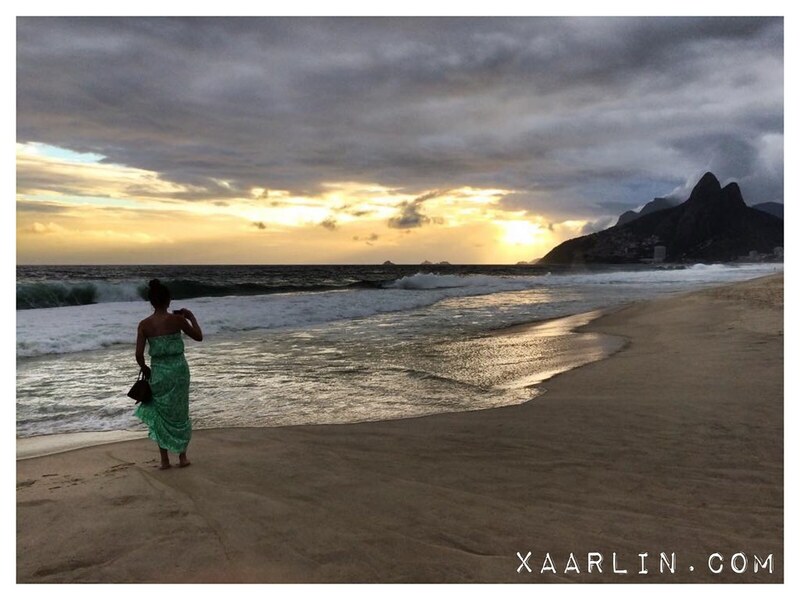 After a filling dinner like that, we decided to take another walk on Ipanema beach and catch the sunset. Photos just cannot do this experience justice. It was one of my favorite moments of all time. The beauty of the sun reflecting on the water with the mountains surrounding us was magical. Once the sun set I noticed the storm clouds were getting closer and closer so we decided to walk back to our place. Pretty much as soon as we got inside, it began to rain very hard. We were both so happy to make it inside in just the nick of time. just beautiful my friend. Thanks for sharing your trip with us! Thank you :) stayTuned for even more posts! Yes. 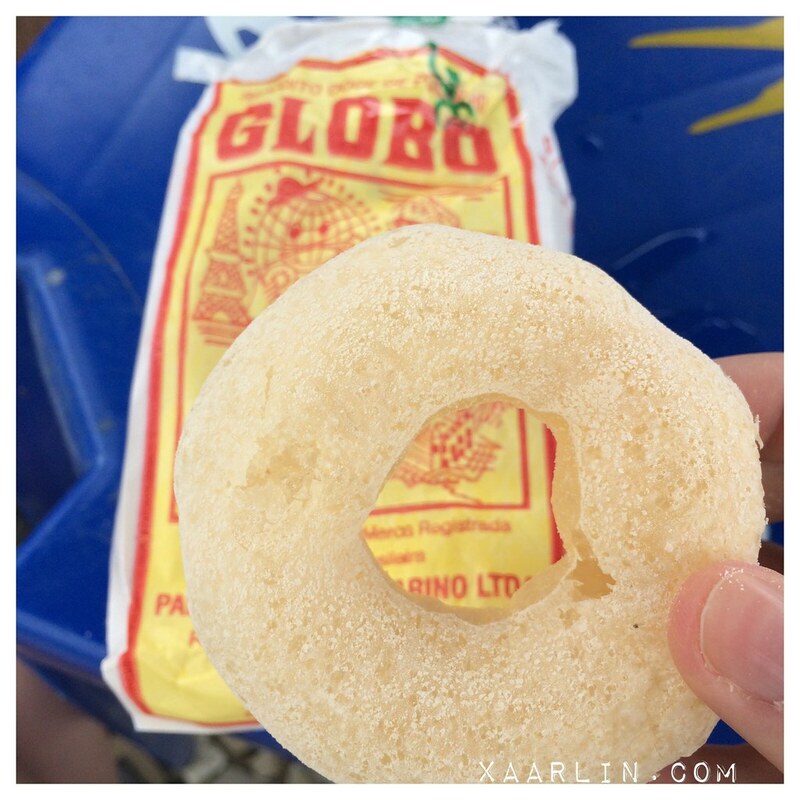 You need to go to rio ;) it's gorgeous but need to be extra vigilant for potential crime :( and the globos were so yummy and different than anything I've had here. 6500m path ? Over 4 mile loop ..! Nice.......great photos and memories ! Makes me recall my time there back in 1985 ;-) Did you bring back one of those 99% air biscuits for me ?? I love the sunset pics!!! So a typical breakfast is carbs with butter? I like! Is the bread pretty plain?